If Gilmour is afraid of dogs he’s probably still standing there. Photo from here. Guitar god and musical titan from the worldwide famous band Pink Floyd supposedly has a place on the seafront. Her luscious bathtub entirely made out of marble had to be installed through the window at her then five-bedroom house in Brighton’s Lewes Crescent, which also required the closure of the entire street. Eubank (left). Photo from here. He’s well known for the Louis Theroux documentary featuring him driving along in a seven-tonne trunk that would cause road traffic nightmares. Just gave a sweaty hi 5 to Chris Eubank on my Brighton seafront run and he was on his bike. Survived. Coogan spotted at a screening of his own film, Alan Partridge, at the Brighton beach screen – photo from here. A-ha! The comedian Steve Coogan, i.e. Alan Partridge, was recently banned from the road for driving nearly double the speed limit along Brighton seafront. Potential candidate for Mars One. Photo from here. Probably enjoying the sweet trills of the Darth Vader theme song. Photo from here. The virtuoso violinist was born in Brighton and is known for injecting punk influences into the orchestral music genre. 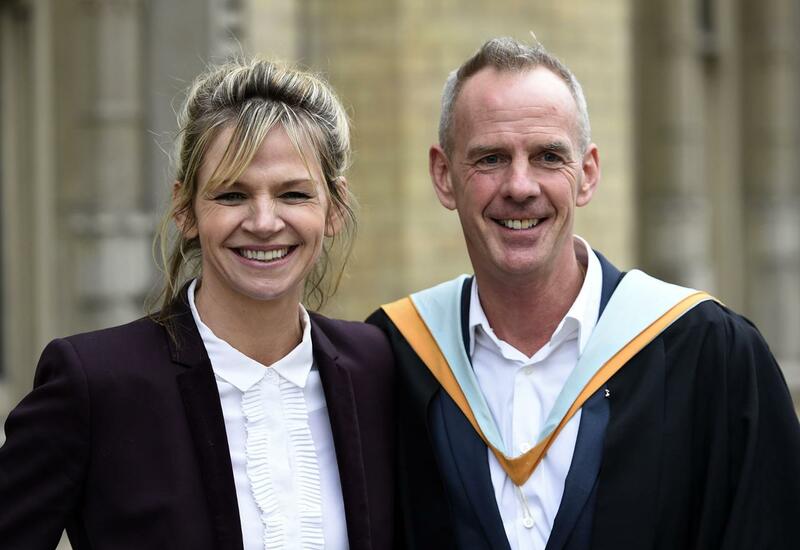 Norman Cook with partner Zoe Ball. Photo from here. The disc jockey recently received an Alumnus Award from Brighton Uni. Living on the seafront with his partner and well known TV presenter, Zoe Ball, Mr. Slim has almost become a permanent Brighton landmark. Acting paragon. Photo by Stephen Lovekin/Getty Images. The stratospherically talented Lesley Manville was born in Brighton, and has since worked on some of the director Mike Leigh’s best films like All or Nothing and Another Year. Receiving an Honorary Doctorate from Brighton Uni (centre lower right). Photo from here. Seen practically everywhere over Brighton, and known for his gothic music, Nick Cave has delighted many Brighton fans should they be lucky enough to spot him strutting down the street. Keeping dry. Photo from here. King of Brighton, the Comedian Matt King is undoubtedly known as his character – Super Hans – a drug-bewildered friend in the Channel 4 TV comedy series Peep Show. Bjournal Recommends…. The Yellow Book Steampunk Pub in York Place!